Private Residence, Durham. 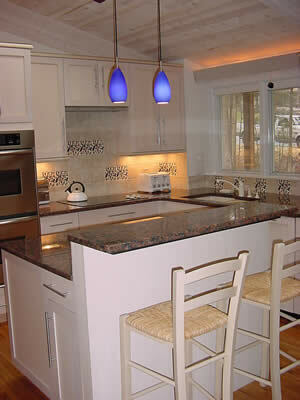 This Durham couple selected Amazon Blue granite from India to coordinate with handmade tile accents. The stone has a vivid blue accent crystal and the dominant color ranges from brown to peach.